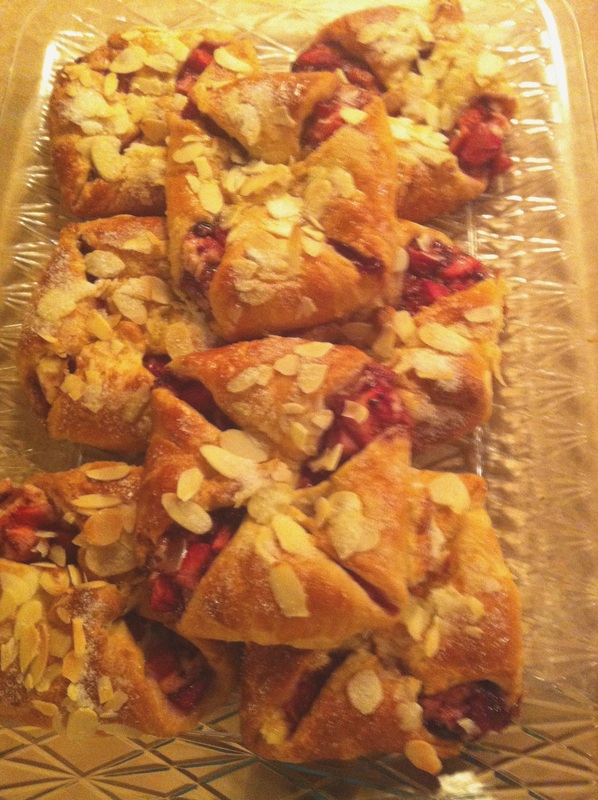 Those of you who visit my site regularly will know that I pretty much always make things from scratch – all pastries, cakes, entrees, etc. So now – let me surprise you! About a week ago, I needed something quick to go with coffee and tea I was about to serve to friends who were stopping by for a surprise visit. Sometimes I just can’t believe how much I am turning into my grandma! She would never ever be caught by having “only” coffee or tea to offer to visitors – there always had to be something added and it always had to be homemade. So – here I am, doing some quick thinking. 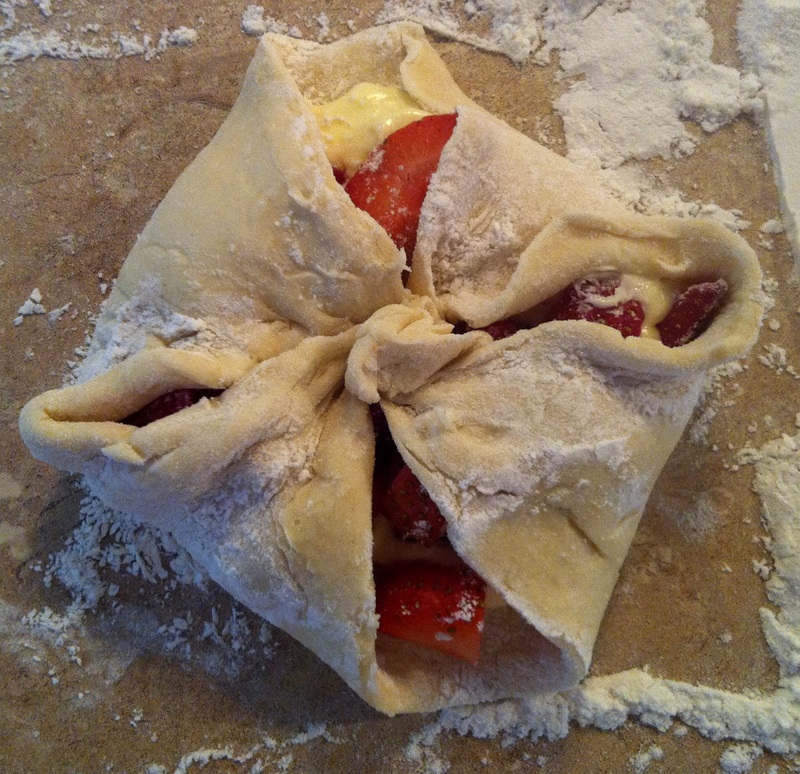 The best thing of course is to quickly make homemade pastry – and I will always say that. But there are times when you need to be even quicker and suitable substitution comes to mind. 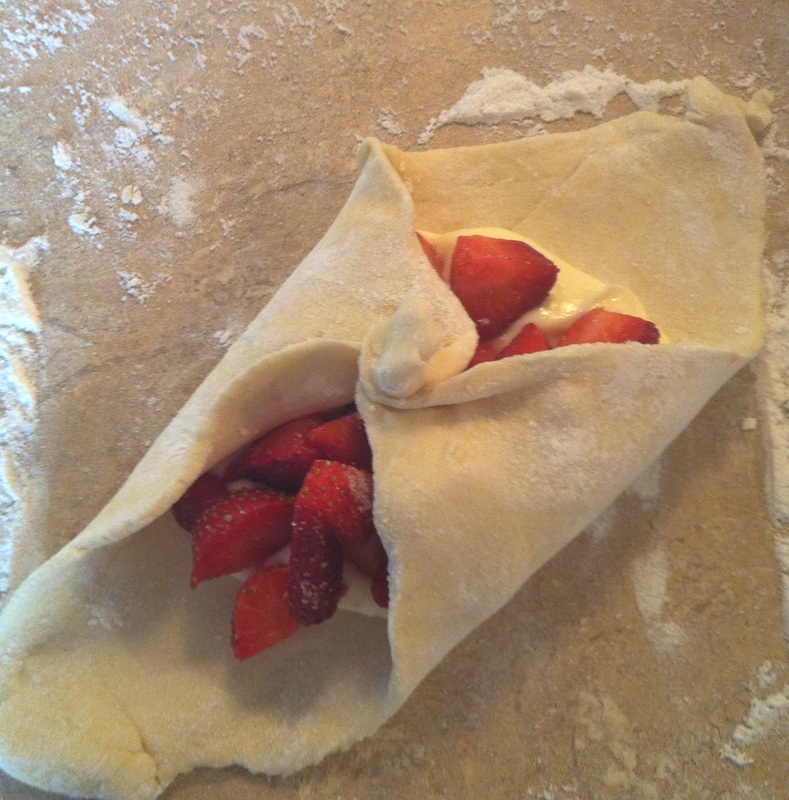 What I saw in my fridge were couple of packages of Pillsbury Crescent rolls and since I know how they taste, I thought – why not use them to create a sweet treat? 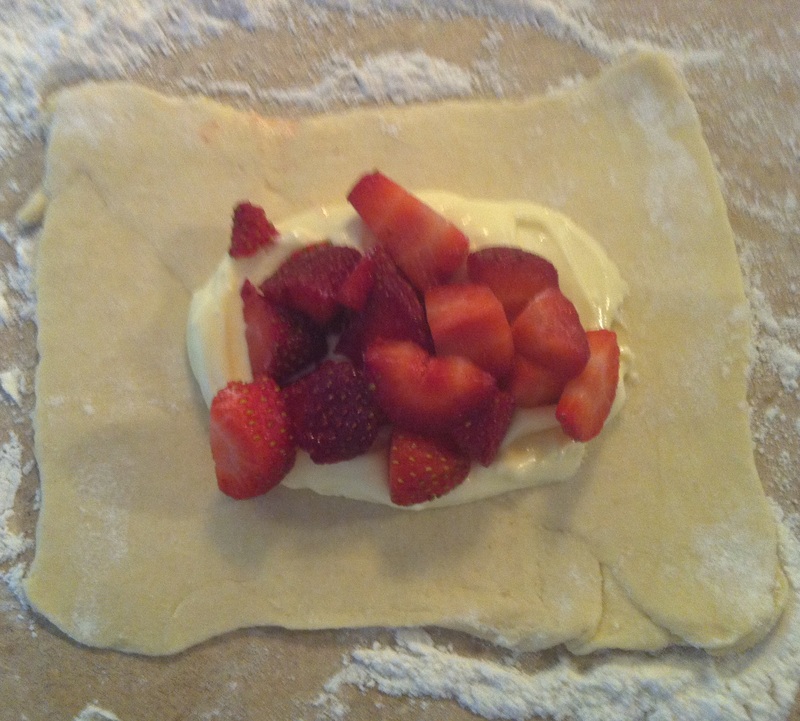 I also had a package of cream cheese and fresh strawberries, so I had the idea of using the crescent rolls for the pastry, making nice cream cheese filling , adding strawberries and making danishes. 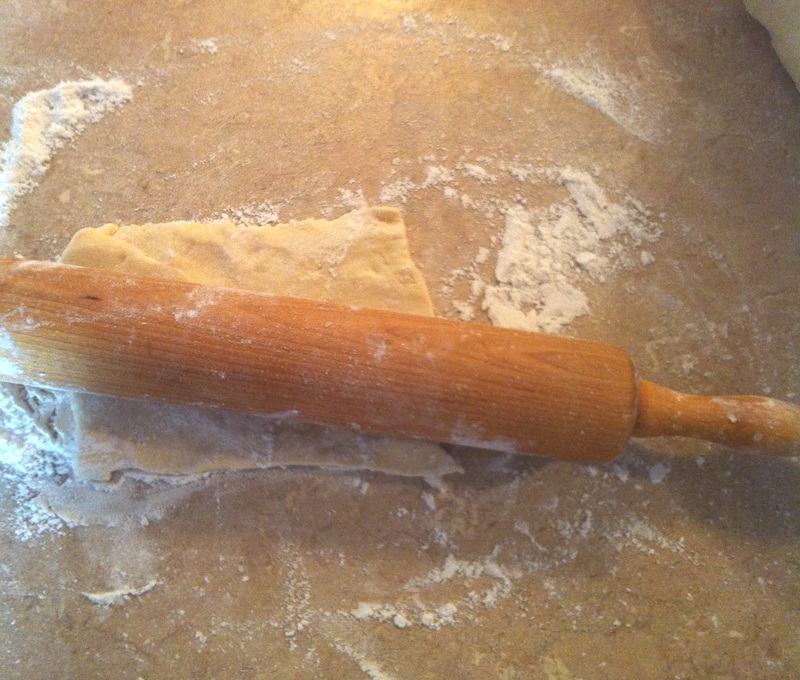 So – if you have the time, invest it into making your own pastry – the recipe that I use all the time is easy and always good – people who tasted my butter tarts would definitely agree with that! 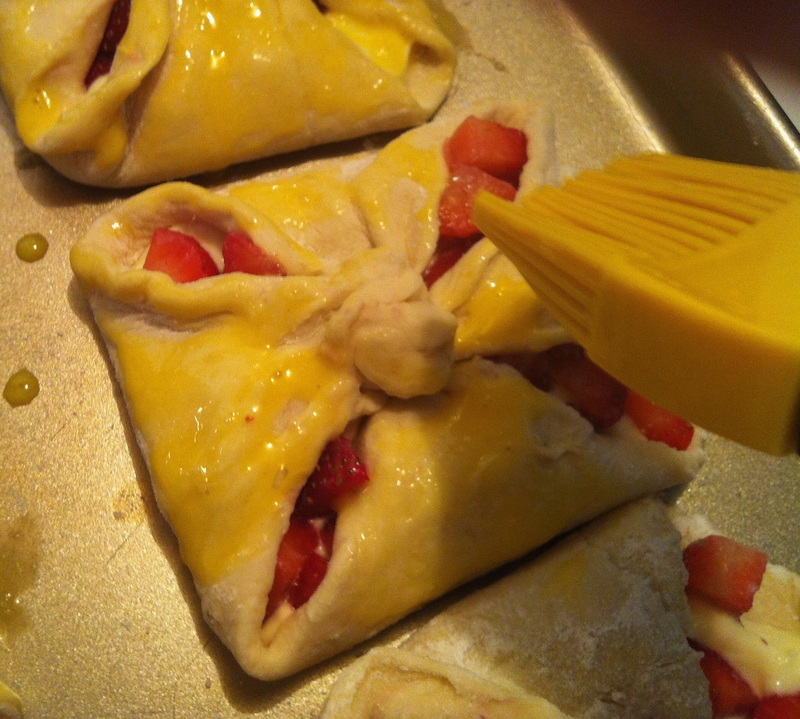 You will find the complete Flaky Pastry Recipe by clicking on this link and I am sure you will love it! 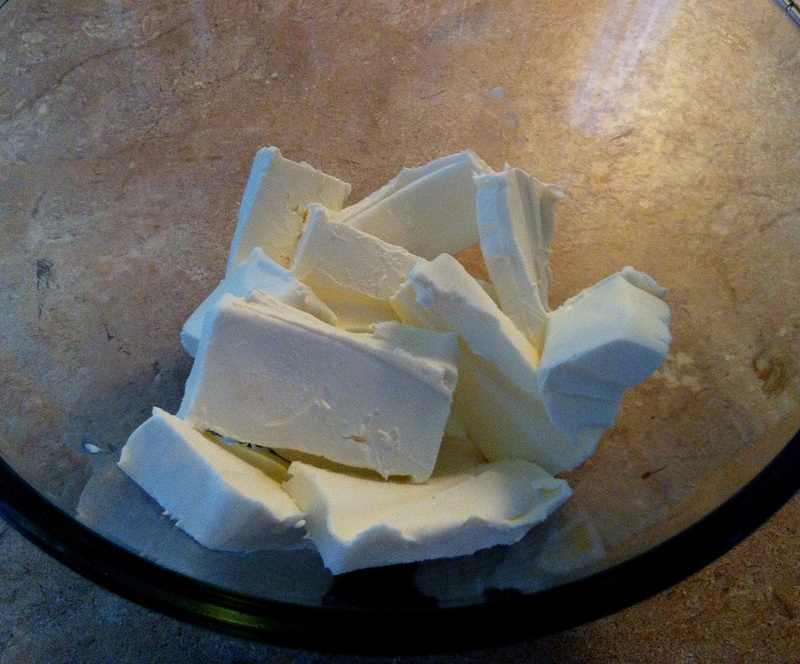 2.Then I took the cream cheese out of its package and cut it into smaller pieces to make sure that it is not too cold. You will need to warm up the cheese to room temperature, otherwise it will not combine with other ingredients smoothly and you will be left with little lumps. 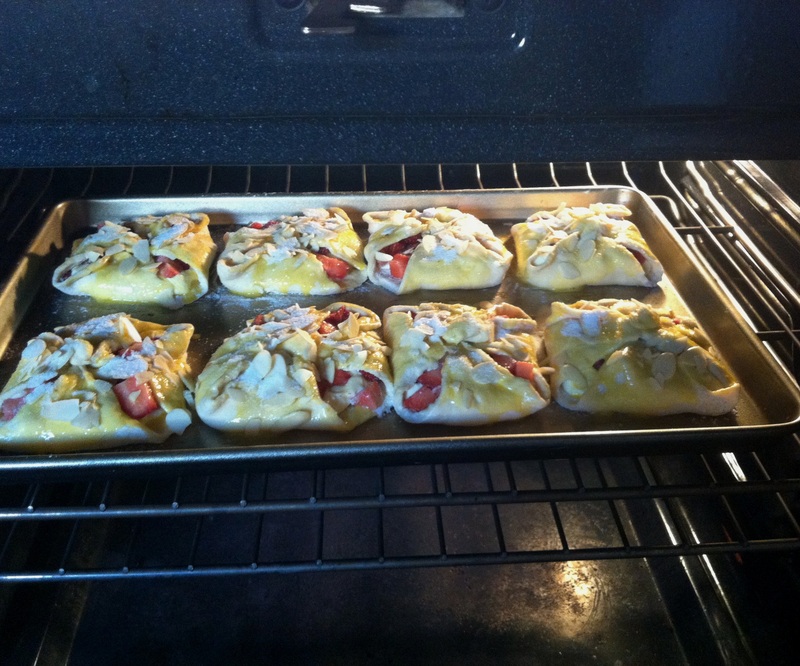 3. once you are sure that your cream cheese is room temperature, add 2 eggs and about a cup of icing sugar. 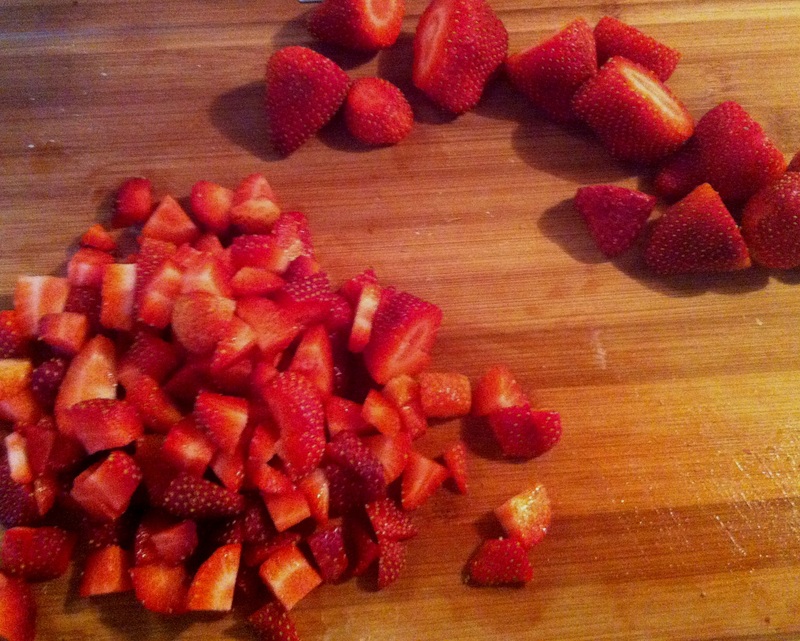 If you want a little added touch, add lemon juice – I used 2 tablespoons. 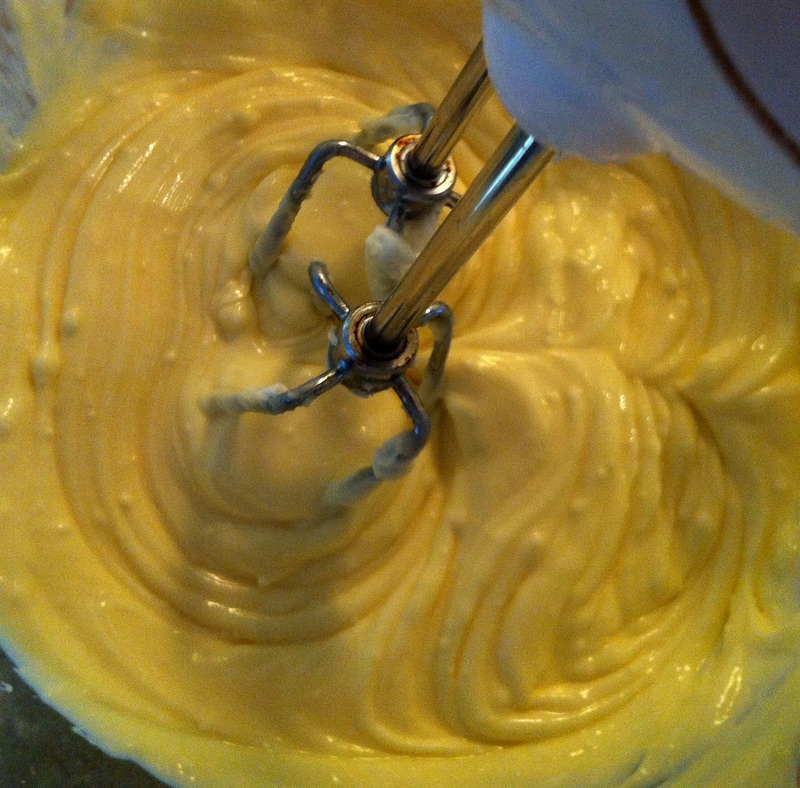 Mix with electric mixer until nice and smooth. 5. 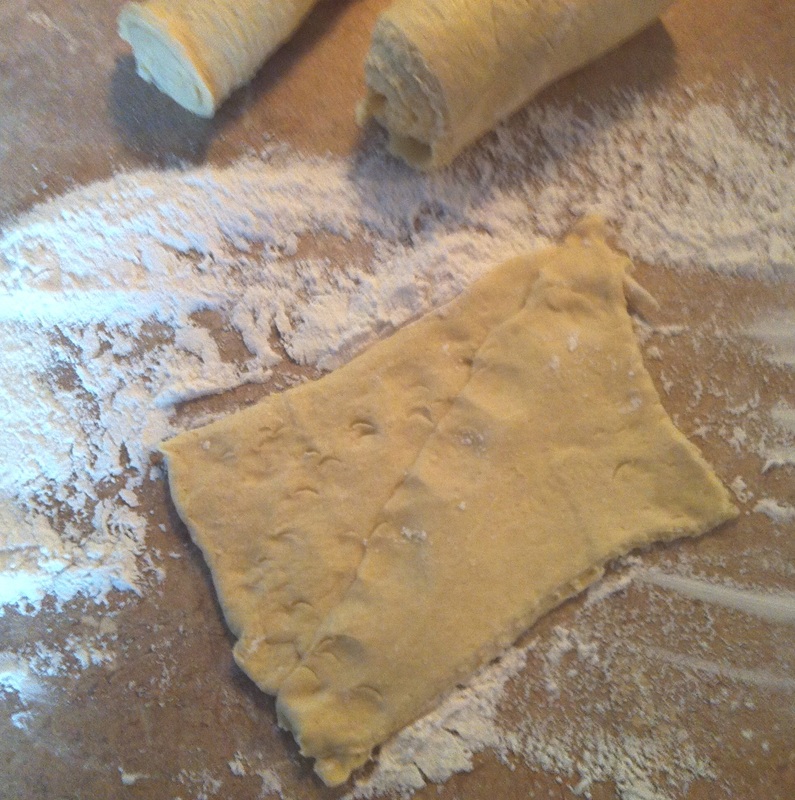 Once you take the pastry out of the package, separate it into the pre cut triangles. 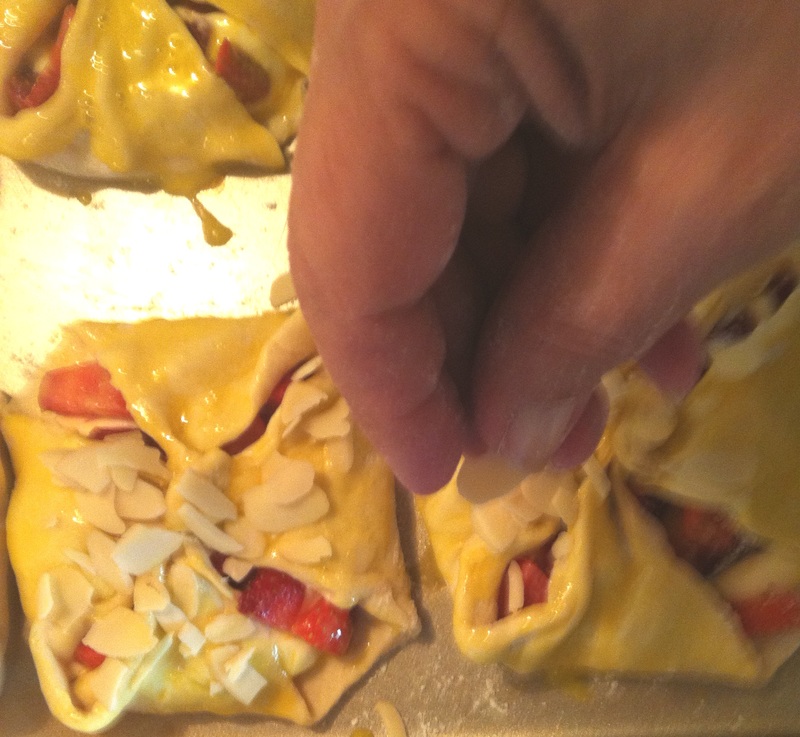 Place 2 triangles together to form a rectangle and press together firmly with your fingertips. 12. 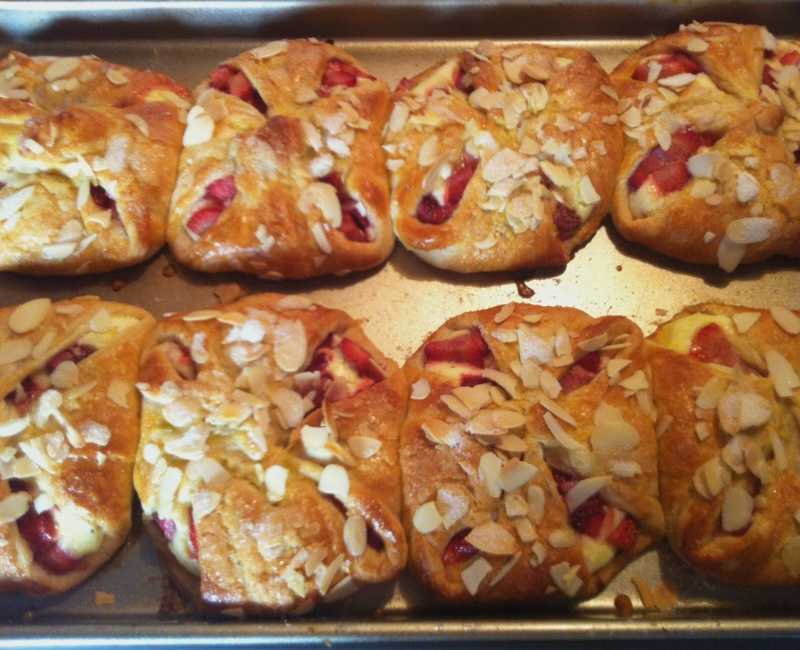 And here is what they look like – and they are delicious! Hope you will try these and let me know what you thought! I welcome your comments, suggestions and enjoy your experiences!